Volvo S80 1999-2006. Volvo S60 2001-2009. Volvo V70 2000-2008. Volvo XC70 2001-2007. Body & Lighting Parts (222). The Volvo Part Reference Equivalent Number Is9441161. Cooling System Parts (37). The parcel will need to be signed for. 2007-2011 C30 positions R1, R2, R4, R5, R6, R9 & R11. Volvo isn't really clear on relay function, but usually lists the position in the relay box. 2007-2011 S40 positions R1, R2, R4, R5, R6, R9 & R11. 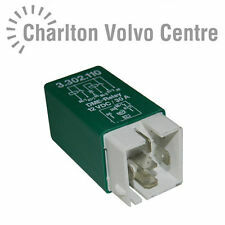 OE quality fuel pump relay suitable for the Volvo vehicles in the above compatibility table. FUEL PUMP RELAY. Volvo 960 2.0 08.90-09.93. Volvo 960 2.9 08.90-07.94. Volvo 960 Ii 2.9 07.94-12.96. Volvo 960 Ii Kombi 2.5 08.94-12.96. Volvo 960 Ii Kombi 2.9 09.94-12.96. Volvo 960 Kombi 2.0 08.90-09.93. Volvo 960 Kombi 2.9 08.90-07.94. Volvo 960 1994 Onwards. Volvo 760 1998 - 1990. The Volvo Equivalent Part Reference Number Is1362914. You will have to sign for the item when it arrives. New Arrivals. Other (18). 100% UK Owned. Transmission Parts (48). Relay Type: LH Jetronic White. Volvo 240, 260, 740, 760, 940, & 960. 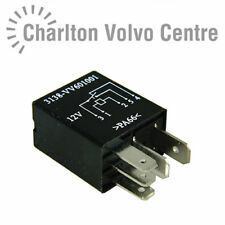 The Volvo Part Number Equivalents Are:3523608 & 1347603. You will have to sign for the item when it arrives. Quick Links. New Arrivals. Suitable For The Above Vehicles Fitted With The 4 Speed Manual Plus Overdrive Gearbox. Volvo 240 2.3 08.86-12.88. Volvo 240 2.3 I Kat 08.86-07.93. Volvo 240 Estate 2.3 Kat 08.91-07.92. Transmission Parts (48). If there are any problems, then we will try to resolve them for you. We have many years experience in the automotive components and fasteners industry. Febi Relay Volvo B10 B BLE L M BR R B12 B58 B6 B7 F LDD B9 S F10 F12 F16 F 11931 - Free Delivery from Simply Car Parts - Brand New Febi Bilstein part - 1 Years Manufacturers Warranty. SERVOTRONIC MODULE / RELAY. VOLVO XC90. VOLVO XC90 2004. XC90 2002-2006. WE ARE BREAKING DIFFERENT VOLVO MODELS S60 AND V70 2000-2004. OPENING HOURS WE ARE BASED IN SOUTHAMPTON. 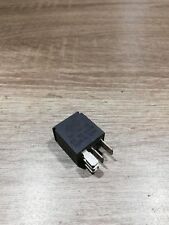 VOLVO C70 COUPE 1999-2002 RELAY 9494424 (Removed from a right hand drive car). 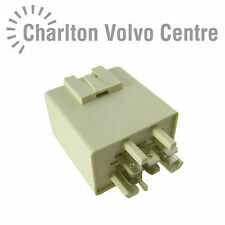 THIS RELAY IS FROM A YEAR 2000 VOLVO C70 COUPE GS 2.4 TURBO PETROL ( Engine Code B5234T3) 5 SPEED MANUAL. Volvo V50 S 2.0 diesel 5 door estate 2006 - colour code 464. 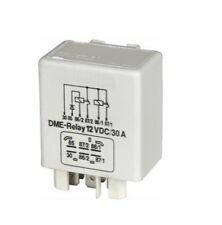 Glow plug relay. 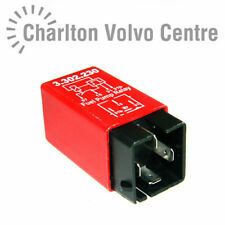 Volvo V70 (2000-2004) Pair of Relays. This vehicle part was removed from a year 2001 Volvo V70. Removed from a right hand drive car. This is a used part and may have marks and signs of usage. FOR VOLVO 940. Vehicle compatibility. Part specifications. Number Of Poles:3. 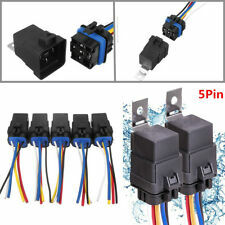 Genuine9 PinBlack Relay For Diesel CarsGlow Plugs Relay. Volvo (2004-2010). Fits: (Diesel Cars Only). Mazda 3 Series BK [2003-2009] Hatchback. Ford Fiesta-V MK5 (2002-2008). Ford Focus-II MK2 (2002-2008). New Quality Indicator Flasher Unit Relay. This is an original quality part manufactured by Febi. FOR VOLVO V40. Vehicle compatibility. Weight:0.03 kg. Part specifications. Number Of Ports:4. Volvo 850 2.0 06.91-12.96. Volvo 850 2.5 06.91-07.94. Volvo 850 2.5 08.91-01.97. Volvo 850 Estate 2.5 08.92-07.94. Volvo 850 Estate 2.5 09.92-01.97. The Volvo Part Number Equivalents Are As Follows:6849591, 9434138 & 9434225. 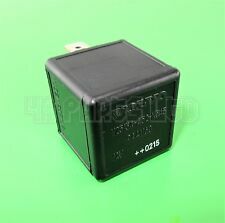 This is the Relay from the passenger/Left side foot well under the dash board. See Photo. This item is used but in fully working order with age related marks. 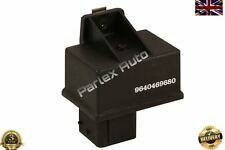 Part numbers visiable on it are 521A043 12V 20A Omron 24Z3DK. Part No ; 9128834. Removed from a 1996 Volvo 850. 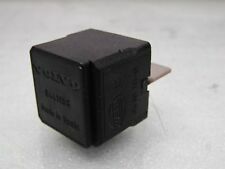 Central Locking Relay. Brand new 20a Yellow Mini Fuses x10 to fit: 20a Yellow Mini Fuses x10. Part No ; 6849781. Volvo 940 Saloon / Estate 240. Removed from a 1996 Volvo 940 Turbo 2.3. Part No ; 1323592. Radio Suppression Relay. Volvo 940 Saloon / Estate. Removed from a 1996 Volvo 940 Turbo 2.3. OEN 9441161 - Volvo. Hella 4R0 007 814-00. OEN 30765031 — VOLVO. OEN 30765042 — VOLVO. OEN 9162300 — VOLVO. OEN AL76702 - John Deere. Part No ; 9483309. Volvo V 70 S 70 C 70. Removed from a 1998 Volvo V 70.